Slavs are descendants of Sarmatians? when, time you were attending a school 20 years ago? Anyway read what I have written on the subject in this thread rather than fall back on some outdated mussing fed to kids at school. Yes, that one. You have a lot of peasant-commie traits but I can overlook it if you actually say something of merit. Good job! On the other hand, genetic assesments seem to strongly suggest that contemporary Poles have been living on the territory of the present-day Poland for a period stretching far back beyond the 6th century AD. I know Biskupin was a Lusatian settlement. But as far as I know there's no solid evidence the people were either proto- Germanic or proto-Slavic. What, in fact, do we know about the ethnicity of the people who lived thousands of years ago? So I've been wondering if anyone could direct me to any confirmed data. As for migration of different peoples, it's kind of obvious. utter nonsense. Sure it was Slavic (ie Sarmatian). Everything was Sarmatian. From land of Picts in what is now Scotland, via Biskupin, entire Europe and Eurasia, all the way to the Ind river. Italian scientist Mario Alinei in his Paleolithic Continuity Theory proved that `Great Migration` never happened. On the edges of Sarmation world due to foreign influences and, also great trade centers on the coasts became first seed of dramatic change of culture on the fringes and within the very Sarmatin realm. With time, on the borders of Sarmation world new hybrid cultures appeared. Trade centers turned to be cities with their own specific interests and sub-culture. Add to it foreign invasions and leftover influences of it, such are penetration of foreign population, religion and ideological influences. That is how Hellenes and Romans come to existence. They then contributed to fastening of ruination of Sarmation world by speeding now their own newly formed culture, influence and interests. Formation of new ethoses followed: Germanics, Romano-Brits, Saxons, Franks, Hungarians, etc, etc. Not to mention cruel onslaughts and kidnapping of Sarmatian rural population and turning them into slaves. Especial target for the Hellenes and Romans, for all hostiles after all, were urban Sarmatian centers. Just for example, cities like Bylazora, Sarmizegetusa, Sindidun or Alesia. It was important for foreigners to destroy centers capable to unite wast Sarmatian world, capable to give military and religious elite and leaders. Enormous ethno and cultural genocide was committed on Sarmats (is Slavs). We Serbians, last bearers of Sarmatian name, endured to talk about it. We, children of Sindidun, shall not die in silence. I am sorry to insult Slavs. I am a Slav too . I lost my cool and was immature. I came out racist as a result. For all its faults, Poland is a GREAT nation, along with Czecks and others. Great writers, musicians, Greatest culture in Europe. Scythian ploughmen were pre-Slavs according to Paul Magocsi and other writers. I am sorry to knock Slavs and Poles. No nation is perfect but Germans have done horrible things and THEY invented concentration camps in Africa in the 1880's Namibia. Poland has done a lot for Europe in the past. once again, I am sorry for my denigrating comments on Slavs. I am denigrating myself really because I am a Slav. Unfortunatley Slavs were oppressed by Germans and other people in history - that does not mean they cannot rule themselves. I take that comment back. Germans have done horrible things and THEY invented concentration camps in Africa in the 1880's Namibia. The Spanish were the first, the Americans the second and the Brits the third who set up concentration camps. This is true, in Cuba. Hard to figure how this relates to the rather romantic Eighteenth Century theory of Sarmatian descent. To draw conclusions that Slavs were descended from Sarmatians is difficult to do. I think it is hard to ignore Sarmatae when examining early Slav history though. The ancients (Romans especially) used `Sarmatae" to apply to people living east of the Vistula as far as the Don. The name Sarmatae became vague and general over time. Did they generally imply Aryan Satem speakers? Some historians do not include the Massagetae (Alans) as Sarmatians as they were andronovans from central asia and were influenced by Aechemind Persia. They were of a Pamiro Ferghana racial type also. They (Sarmatae) are very often misunderstood people but there IS a lot of information from reliable impartial sources on them, if you look hard enough. Some Sarmatian federations may have been partly or wholly Slavic. Main mistake that people often makes is to separate Balts from Slavs (ie Sarmatians). So, I will tell only few words here. Think logically. If one people inhabit island, what is the origin of that people? Logically, same people that inhabit closest landmass is ancestral people of people on that island. That is as a rule. See, same is with coasts. If one people hold coast, it is impossible to separate that people from nearest people deeper in the inland. Logically, its one and same people. Again, its a rule. So, that about origin of the Balts. They were Sarmats, pure and simple. Difference, if existed, was only conditional and still any difference don`t change fact about Sarmatian origin of the Balts. But, if we insist to underline difference between Balts and rest of Sarmats, that difference could come only as result of gradual influence on Balts by foreign elements that are usually present on the coasts due to trade and influx of foreign ideas, languages and people thanks to that trade. Sure, theoretically, something also could happen (invaded, natural catastrophe, etc) with the bulk of population in the inland while people on the coasts may stay isolated from the event and that way start to differ from their ancestral population. Its nothing new. It happened all-around Europe with Sarmatians. And not only in Europe. On the coasts, some islands, on the fringes of realm of our ancestors, people started to change, to differ from their original ancestors. And its alright. Its evolution. What isn`t right is that those who changed, in many cases, tried/tries to annihilate those who refuse to change. And no, we don`t speak about refusing to change in the sense refusing to progress. Its not that. Those who stayed to exist as Sarmats until our times are those who, for some reason, decided to stay loyal to the ancestral culture and language. And it was and is their right. If we Europeans refusing truth about our past and history for political reasons, what future do we have? Shall we falsify science itself to satisfy politics? Is there any future for any sentient species in the universe, if decide to ignore scientific facts? No. Not of course. So what shall be? Truth must prevail. Sure, that truth, political consequences of that truth, suit to somebody more and to somebody less. With time, we will learn to live with it. We will invent new reasons to support and explain our different paths. sounds like you have a bad case of Sarmatitis. What is sarma? A Sarmatian dish? 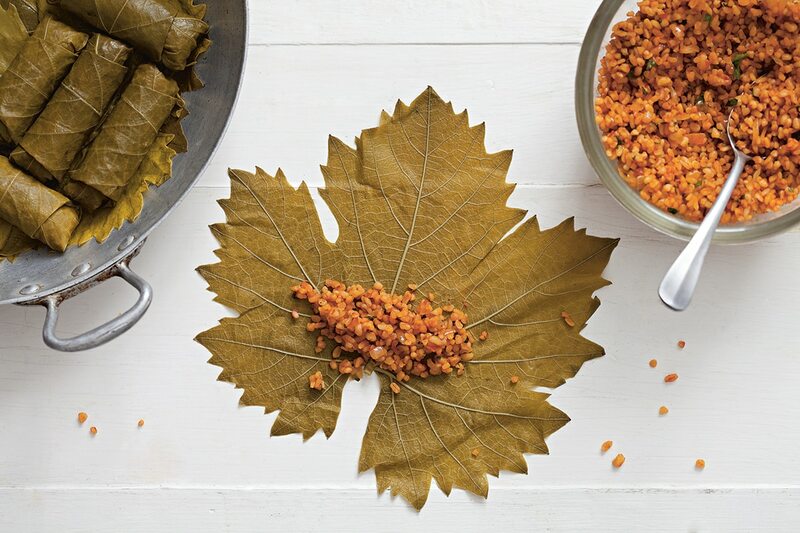 Sarma is minced meet wrapped with cabbage (or vine leaves! ), formed in rolls. Very testy. Etymologically, word `sarma` could come from `Sarmatrains`, especially considering that `sarma` represent national dish of Serbians and science confirmed that Serbian ethnic name represent remain of original `Sarmatian` name. After all, it was favorite dish of Serbian medieval nobility. So its confirmed, Sarmats ate sarma in past and they eat sarma today. It is found among Slavs and on the Middle East. No, it doesn't. It comes from the Turkish word for "to wrap", and the word is a Turkish Turkish word, not one borrowed from another language. Listen Dominice, if Slavs (ie Sarmats) were under Turkish occupation for some period of time, its not alright to declare Slavic traditional eating to be Turkish. Its abominable. That is how also `cevap`, during Turkish occupation was spread from Balkan Slavs onto the Anatolia and to the Arabs. So you got `kebab`, while all thing started with `cevap` what literally in Serbian mean `cev` > `tube`. Meat in tube. `cev` means nothing in Arabic or Turkish. Same is with Serbian ethnic name that is correlated to word `sarma`, not to mention that Serbians ate that even before they encountered Turks. Turks were and are wild horde. Consumers, not inventors. Sulimirski's book title `The Sarmatians' is very misleading. It covers a whole range of tribes over a long period of history from a vast territory spanning Poland to AFGHANISTAN! How could one single ethnic designation cover all these different peoples who would in time become Afghans, Iranians, Ossetians, Slavs etc? I think he is wrong in that respect. Full credit to all his archaeological work however. It should be retitled either as `Scythians,' `Alans,' or Scythians and Alans. Sauromatai were not `Sarmatae' of the late Roman period. The only `Sarmatae' was what the Romans called a federation of tribes in northern Ukraine in the 3rd, 4th and 5th century AD. Well, I would like to answer the question of this forum. The Sarmatae then was the name given to ancient Slavic tribal leagues and federations in late antiquity. These tribal leagues were most probably founded by WESTERN ALANS and Scythians, evidently the area's ruling class. When the Roman empire fell, the name Sarmatae fell into disuse and the names of peoples appeared in their own vernacular. And by the way, for anybody who is asking, Alans, Scythians and even Persians DID NOT originate in IRAN!!! their origin is just east of the Urals around around 2000BC, breaking off from the proto Indo-European homeland above the Black Sea. And you have a lot of post-commie traits and overall, you are just a pathetic post-commie figure who emigrated from Poland to Norway. This fact can't be overlooked by any means. - their origin is east of the Ural and not west of the Ural, for example? - they originated around 2000 BC and not around 3000 BC, for example? his fact can't be overlooked by any means. Have a Happy New Year. You need it. west alans and andronovans originated east of the urals ACCORDING TO sulimirski's archaeological evidence, as `prokhorovka' tribes (Roxolani and Aorsi) who were influenced by Massagetae below them. This distinguished them from the Sauromatian culture of the Scythian type developed west of the Urals. I did say Scythians originated east of Urals also. They were the first apparently to move west into Europe, to push out the Cimmerians from Black Sea area. Other `Asiatic' Scythians i.e Scyhtian Alani, remained until Huns pushed them out of central asia much later. proto-Scythians may have been part of the yamnaya culture in earlier periods. Balkan/Serbia as ancient ice age refugium for Slavs proved to be old core of Slavic world. Point where old Slavs, natives of Europe, retreat during periods of glaciations and from where ancients again re-populated Europe. Sarmatians, Thracians, Dacians, Celts, Iliryans, etc, etc, its all about old Slavs. No more then it, no less. Works of Roman Publius Annius Florus, poet, orator, and author gives best possible Roman confirmation that Celts were Thracians and Sarmatians, actually Slavs. And guess what. You know for the Roman data about Tribali, greatest Thracian tribe situated in what is now Serbia and again you also knows for the old records about Scordisci who were greatest Celtic tribe and again Scordisci were situated in what is now Serbia. Now, linguists confirms that name of Serbians represent one of local versions of original universal Sarmatian name (even official Israel speaks of it these days, pointing on fact that Slavs were natives to Europe). So, if Moeasia (ie Serbia) was old core of Sarmatian/Thracian (ie Slavic) world, it also explains why name of ancients survived in Serbian language and in name of Serbia/Rashka. Only here we have that dualism of Thracian/Sarmatian names preserved and clearly explained. See, it all confirms that old Sarmatian/Thracian (ie Slavs) core was reason for formation of Roman province of Moesia what actually marking kind of Roman-Sarmatian symbiosis. Romans obviously managed to seriously harm old Slavs in what was their old core (Serbia) but were unable to defeat them completely and digest them. Therefore, center of Roman empire moved to old Sarmatian (ie Slavic) core. There was no other way for Roman Empire to survive then to accept Sarmatian elite as equal to old Roman elite. It resulting in 18 Roman Emperors of classical antiquity being born in Moeasia (Serbia). Florus ............, citing the Scordisci especially as 'the cruellest of all the Thracians... and to their strength was added cunning as well'. The attack deprives Rome of control over many areas of the Balkans and northern Greece. So, Florus wrote that Celts were Thracians. It is written and from many other sources of the time we know that Thracians were same as Sarmatians and we coming to that dualism Srbija/Raska > Serbia/Rashka > Sarmatia/Thracia > all in correcsondence with linguistics, archeology, old written records and genetics. Yes, that`s the forbidden truth of Europe. And for us Slavs all Greeks are twats and idiots. Amen. Home / Genealogy / Slavs are descendants of Sarmatians?